California Correctional Center (CCC) is a state prison in the city of Susanville in Northern California. It is a minimum-security facility. 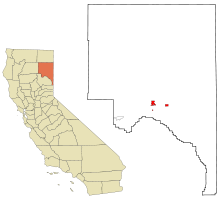 Also located in Susanville is the High Desert State Prison (California) (maximum security), and nearby the Federal Correctional Institution, Herlong. Lassen County has a concentration of prisons, which employ half of the adult population of Susanville. The state facilities prisons were severely overcrowded until 2012, when legislation was passed requiring reduction in prison populations. Many facilities are still above design capacity, increasing risk to correction officers and inmates. CCC's missions are "to receive, house, and train minimum-custody inmates for placement into one of the institution's 18 Northern California conservation camps" and "to provide meaningful work, training, and education programs for inmates who do not meet the criteria for assignment to a conservation camp." It has 1,100 acres (450 ha) including Level l ("Open dormitories without a secure perimeter") housing, Level ll ("Open dormitories with secure perimeter fences and armed coverage") housing, Level lll ("Individual cells, fenced perimeters and armed coverage") housing, and camps. As of Fiscal Year 2006/2007, CCC had 1,184 staff and an annual budget of $139 million. As of September 2007, it had a design capacity of 3,883 but a total institution population of 6,093, for an occupancy rate of 156.9 percent. Due to AB109, the inmate population was reduced to 2889 as of March 13, 2012. The prison was built in 1963 as a minimum-security facility. It was expanded in 1987 to include facilities to accommodate medium-security inmates. Among the vocational programs at CCC, the "certified 90-day horse gentling program" for wild horses, begun in 1987, has received much attention. The federal Bureau of Land Management supplies wild horses captured from the "high desert border country of northeastern California and western Nevada"; inmates "are not paid for their participation." After the program, the horses "become candidates for the periodic public horse adoptions held at the prison." The program is thought to benefit inmates; as one participant said, "it teaches you patience and teaches you that if you want something, you have to work at it." In 2004, the anti-prison political action group Californians United for a Responsible Budget coalition (which advocates for "lowering the number of inmates and prisons") suggested that CCC and three other prisons be closed as a cost-cutting measure, but CCC continued to operate. Advocates wanting to improve prison conditions gained passage of legislation in 2012 requiring reduction in the severe overcrowding in state prisons. In October 2007 Governor Arnold Schwarzenegger "directed inmate firefighters and staff from the California Department of Corrections and Rehabilitation," including those from CCC, to help fight the California wildfires. On December 20, 2016, a riot erupted at the prison involving approximately 100 prisoners. The documentary film, Prison Town, USA, was shown as part of the P.O.V. series on PBS television in July 2007. It explores the effects upon the residents of rural Susanville of living near the CCC, High Desert State Prison, and the nearby Federal Correctional Institution, Herlong, which was opening when the film was made. In "job-starved rural America, ... residents see them as the last and only chance for employment after work at the lumber mill or the dairy dries up." Louis (Robert De Niro) in the 1997 Quentin Tarantino crime film Jackie Brown says that he was just released after serving almost four years at Susanville for bank robbery. ^ CDCR. 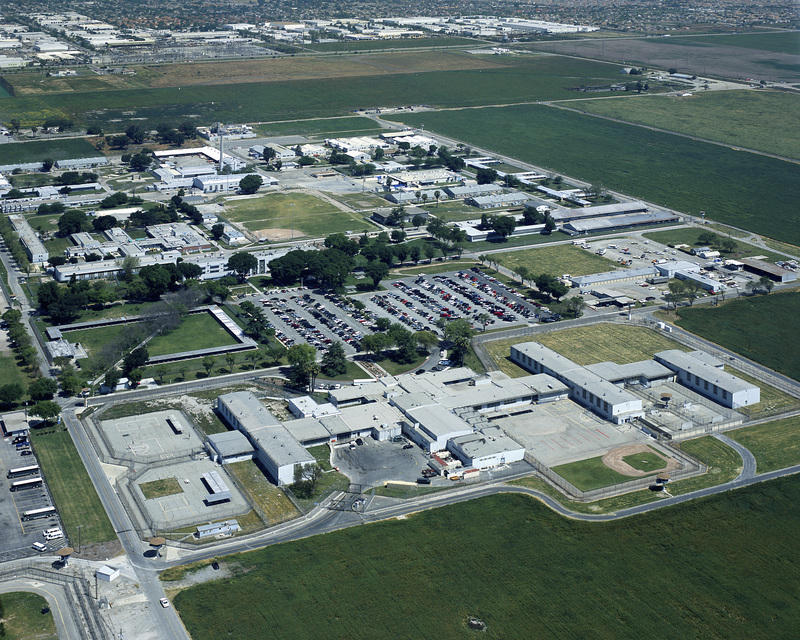 "CDCR - California Correctional Center (CCC)". www.cdcr.ca.gov. Retrieved 2018-03-17. ^ a b Taylor, Robert. "'Prison Town' a view from outside," Contra Costa Times, 28 July 2007; hosted at Mercury News. ^ a b c California Correctional Center (CCC) (2009). "Mission Statement". California Department of Corrections and Rehabilitation. Retrieved August 20, 2009. 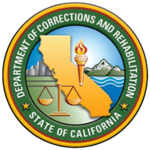 ^ California Department of Corrections and Rehabilitation. California's Correctional Facilities. Archived December 14, 2007, at the Wayback Machine Oct 15, 2007. ^ "Susanville Puts Effort Behind Bars, Helps Illinois Town Seeking Prison." Daily News of Los Angeles, July 19, 1987. ^ Deaton, Christiane. "Humanizing Prisons with Animals: A Closer Look at "Cell Dogs" and Horse Programs in Correctional Institutions", Journal of Correctional Education, March 2005, Vol. 56, Issue 1, pp. 46-62. ^ a b Snyder, George. "Convicts and Mustangs: Up in the high desert, at the California Correctional Center in Susanville, prisoners and wild horses come together in a program meant to change lives" San Francisco Chronicle, September 27, 1998. ^ Voet, Gary. "Of Mustangs and Men: an Extraordinary Prison Program is Transforming Wild Horses - and Inmates", Sacramento Bee, May 13, 1998. ^ Richman, Josh. "Activists: Close four state prisons - Budget group's commission offers cost-cutting suggestions", Oakland Tribune, May 4, 2004. ^ "Gov. Schwarzenegger Directs CDCR to Utilize Inmate Fire Crews in Response to Major Wildfires" Archived October 30, 2007, at the Wayback Machine, Press release, Oct 22, 2007. ^ "Riot involving 100 prisoners rocks California prison". Los Angeles Times. December 23, 2016. Archived from the original on December 23, 2016. Retrieved December 25, 2016. ^ Public Broadcasting Service page on Prison Town, USA. Accessed Nov 11, 2007. This page was last edited on 23 October 2018, at 23:50 (UTC).